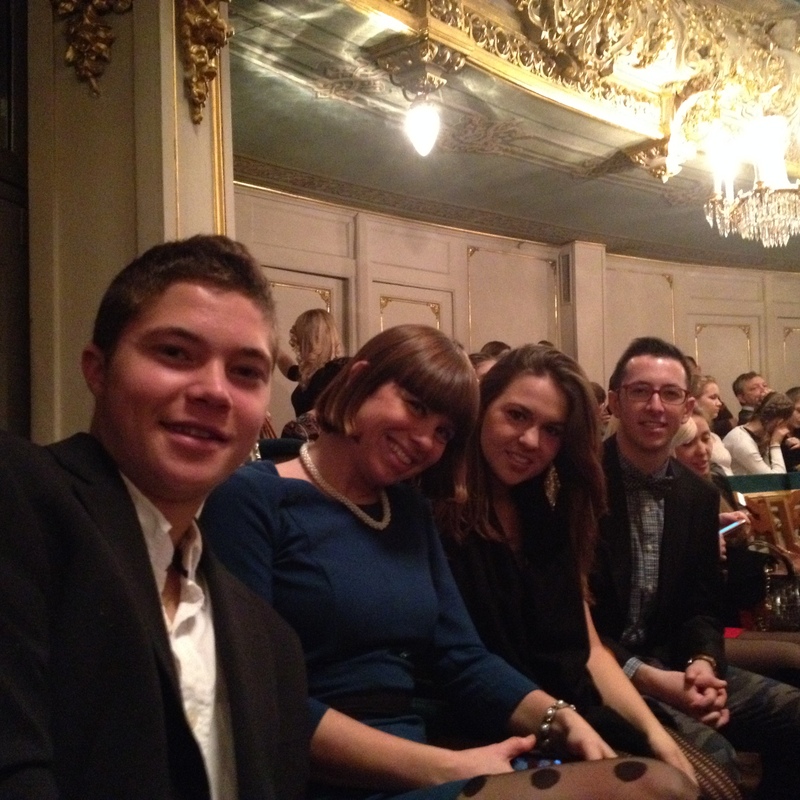 On our last night in St. Petersburg we went to the Mariinsky I to see the opera La Bohème. 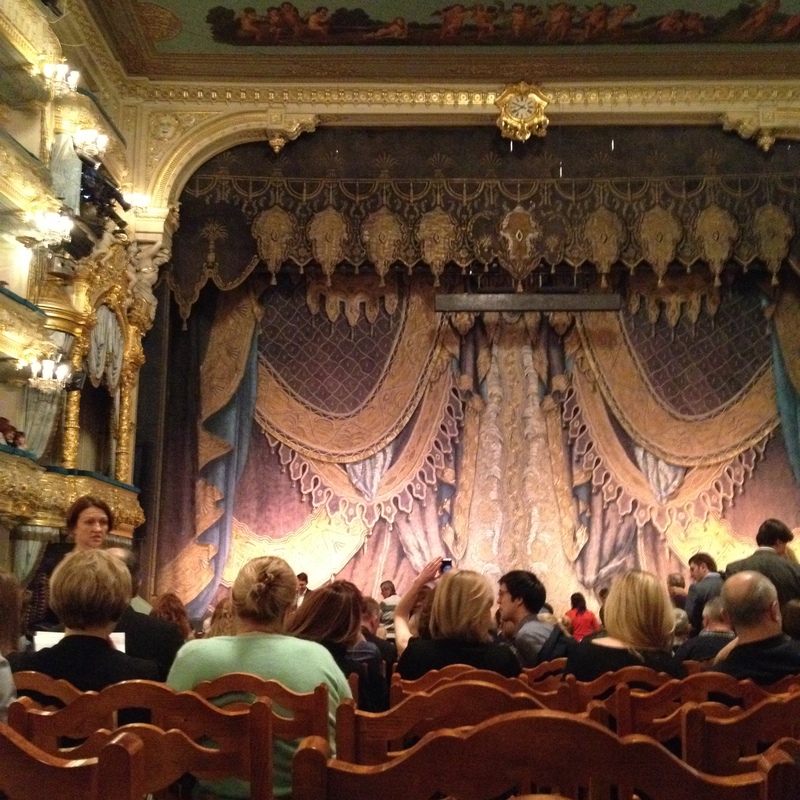 The Mariinsky I was beautiful and so drastically different from the Mariinsky II. 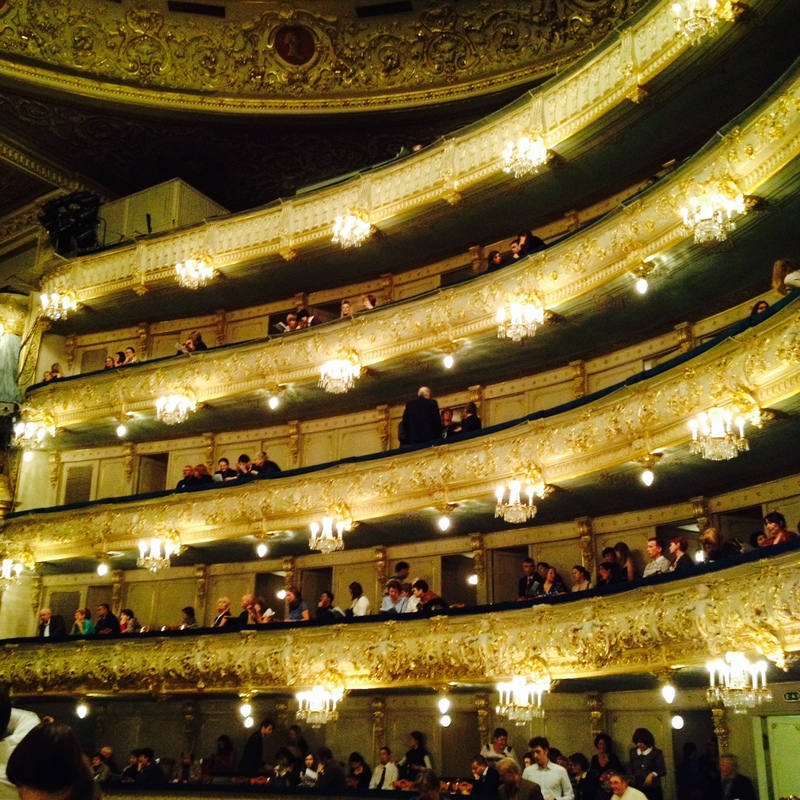 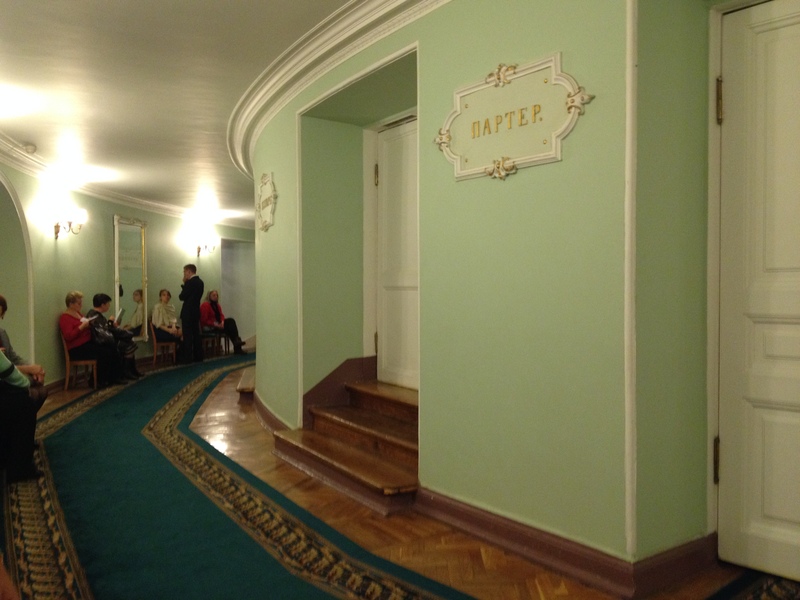 The Mariinsky I is much more traditional and the stage, balcony seats and tsar’s box are lined with gold. 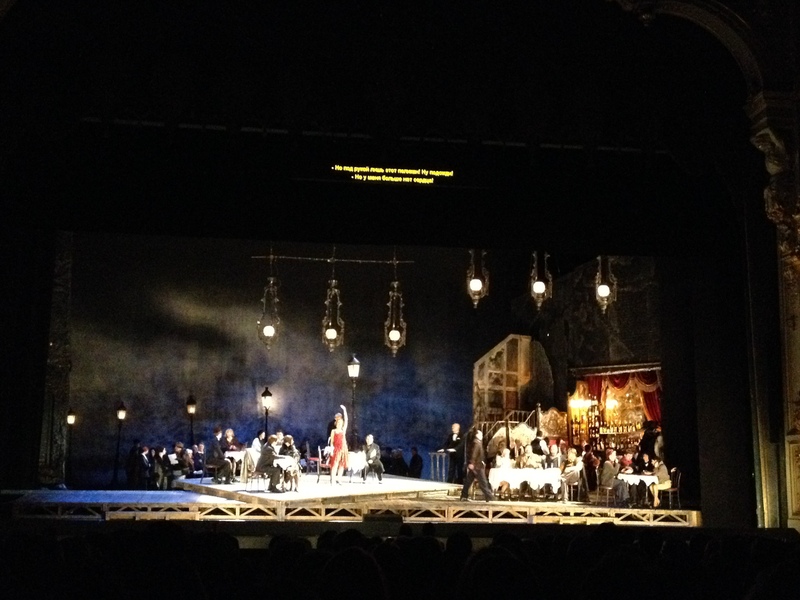 I was surprised by how much I enjoyed the Opera and the music was extremely powerful. 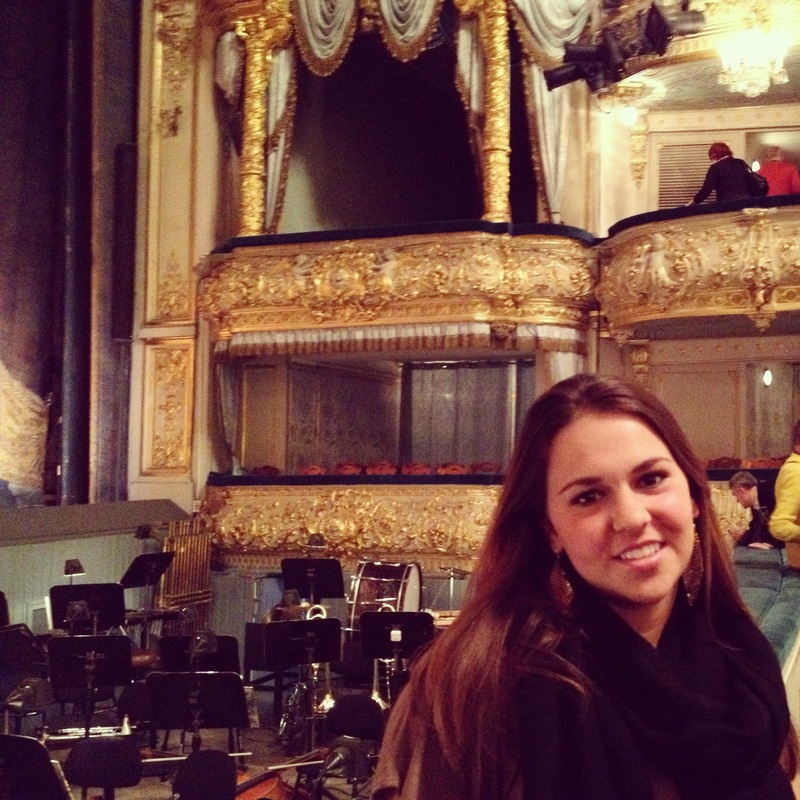 I have been so lucky that I have seen a Russian Ballet in the Mariinsky II and the Opera in the Mariinsky I.